Howard College of Arts and Sciences Dean Tim Hall led a Samford University team selected to attend the American Association of Colleges and Universities (AAC&U) Institute on General Education and Assessment at Loyola University May 31–June 3. The team also included David Bains (religion), Don Bradley (sociology), Joseph Cory (visual arts), Eric Fournier (Office of Assessment) and D.J. Gililland (Kinesiology). 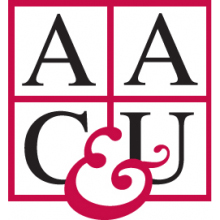 AAC&U’s team-based institutes offer campuses a time and place for sustained collaborative work on a project of importance to their campuses, along with a curriculum focused on important trends, research and best practices delivered by a resident faculty of educational experts and consultants. At the Loyola institute, the Samford team explored intentional, well-defined and meaningfully assessed models of general education.